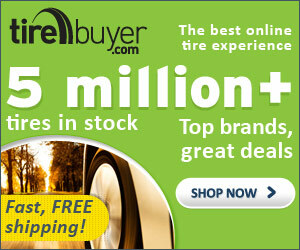 Buy Bridgestone Tires and safely and effortlessly explore countless winding country roads, scenic mountain passes, and major interstate highways throughout North America. Bridgestone represents a breakthrough in a combination of technologies in materials, design and construction that work together to create very advanced tires. Bridgestone’s technologies include an optimized tire contour, a new bead for more accurate mounting on the wheel, and improved tread compounds. In May 1998, Bridgestone announced a second generation of tire technology, UNI-T AQ™, which stands for “Advanced Quality.” The UNI-T AQ features a dual layer tread and extended performance compound, providing drivers with more consistent performance as the tires age and wear. The company expanded the UNI-T AQ technology into several high volume tire lines in 1999. The proof is in the performance — according to the company’s testing, a Bridgestone Turanza H Revo with UNI-T AQ with 50 percent tread remaining stopped an average of 14.1 feet shorter on a wet surface at 50 mph than the conventional touring brand with equal wear. The company continues to perfect and improve its tire technology with UNI-T AQII™, the “next generation” of UNI-T AQ technology, which is incorporated into several new product lines. UNI-T AQII incorporates a variety of improvements to the earlier UNI-T and UNI-T AQ technologies giving drivers stronger wet and dry performance, when the tire is new and throughout its life. As a premium, technology-driven consumer tire brand, Bridgestone is the choice for many of the world’s most prestigious cars. In early 2001, the company introduced new versions of two of the most popular the company’s products to showcase the improved UNI-T AQII technology. The Bridgestone Potenza S-03 Pole Position is an ultra high performance tire that sets the standard for handling, grip and service. As the next generation of the popular Potenza S-02 Pole Position, the Z-speed rated tire is designed for the most demanding performance car drivers. Just as the Potenza S-02 Pole Position was the first tire to incorporate UNI-T AQ technology, it is one of the first Bridgestone brand products to utilize the latest UNI-T AQII technology. The Bridgestone Potenza RE950 is the successor to the popular Potenza RE930. The Potenza RE950 sports a unique tread pattern with a strong resemblance to the Potenza rain tire used in Formula One competition. With its UNI-T AQII technology, the tire offers exceptional wet and dry handling performance as the tire wears, and a consistent level of performance throughout the tire’s life.